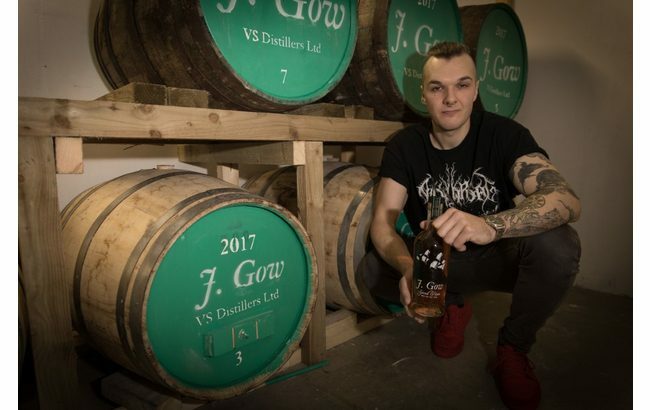 The first rum distillery in Orkney, VS Distillers, is to launch its inaugural product this weekend – J. Gow Rum. The spiced rum’s name comes from John Gow, an Orcadian pirate who was hanged in 1725 for his crimes. VS Distillers is based on the uninhabited island of Lamb Holm and is run by Collin van Schayk, the son of the founders of Orkney Wine Company, Emile and Marjolein van Schayk. Part of the OWC’s premises have been converted for rum production, with the installation of two 2,000-litre molasses fermentation and distillation stills. The Highlands and Islands Enterprise helped raise funds for the equipment and marketing costs. Production began in April, while the casks were filled last month, and the first bottles are now ready to go on sale. The company is importing barrels from France and Italy, with future plans to lay down and mature more spirits. The rum is said to have a “light golden” colour and a palate of “subtle citrus and cinnamon notes with a slight hint of vanilla and a warming spice finish”. It is a blend of “spices from around the world”, but Collin is keeping the final two ingredients a secret, simply claiming they are “locally grown”. J. Gow rum will be launched officially in Kirkwall on 21 October.